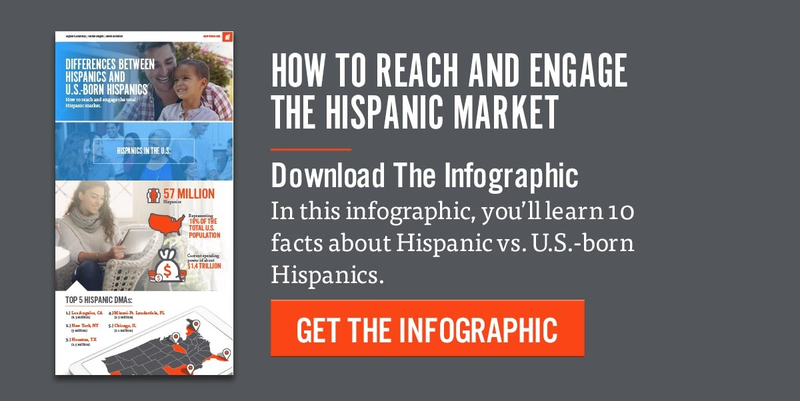 While marketers from airline, tourism and hospitality industries construct their Q2 and Q3 strategy, they may also want to start generating a business plan to reach Hispanic consumers. Inspecting superficial trends in the travel industry, Hispanic and non-Hispanic consumer spend appear equal. However, granular data indicates Hispanic consumers are a growing market for airline, tourism and hospitality brands. The share of Hispanic versus non-Hispanic consumers that travel is nearly equivalent, or about 80%, however, 3 in 4 Hispanics fly to their domestic vacation spots. In addition, 31% of Hispanics travel internationally, compared to 18% of non-Hispanics. Seven percent more Hispanic households than non-Hispanic households making $50K or less take one or more vacations annually. In addition to their significant use of airlines, they also have larger families, which increases their spending rates during travel. For Hispanic households making $50-$99K annually, they spend roughly $2,600 compared to $2,000 for non-Hispanic households. The primary reason why Hispanic consumers travel is to remain in touch with their relatives, friends and culture. Thus, it may not be a surprise that the top three regions U.S. Hispanics travel to internationally are the Caribbean, Mexico and South America. Trends in domestic travel show California, Florida and Nevada as most common destinations for Hispanics. This can be correlated with the fact that many Hispanic consumers enjoy visiting theme parks and casinos during their vacations. Their top choices for hotels are the Holiday Inn, Best Western and Hilton. Nearly seven in 10 U.S. Hispanics are attentive to online ads. That’s nearly 20% more than the overall population, making them an ideal audience to reach using digital marketing tactics. What’s more, Hispanics use the internet more than television to obtain information prior to making purchases. Influencer marketing is a key driving component to their purchase decisions. Hispanic social influencers, from bloggers to YouTubers, change consumer attitudes toward brands, moreover, the application of influencer marketing allows marketers to target subsegments of the Hispanic population, from different ethnic backgrounds to acculturation levels.